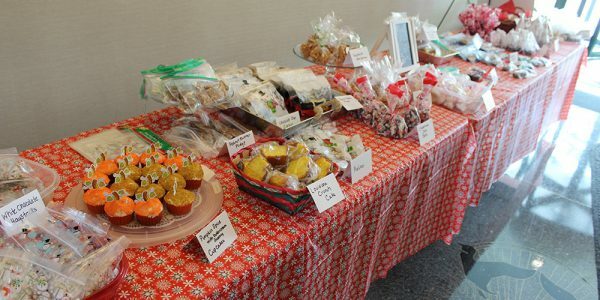 Stirling Properties Third Annual Christmas Bazaar is this Friday, November 17 from 11:00AM – 2:00PM at the Northpark Corp. Lobby in Covington, Louisiana. 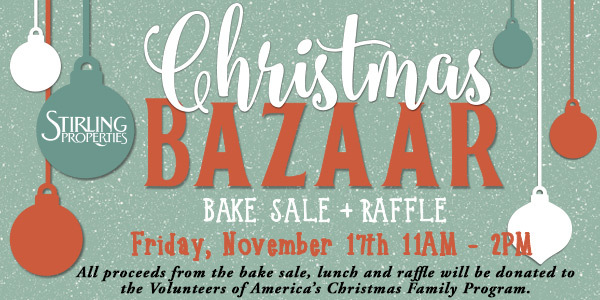 The Bazaar will feature local vendors selling various items including: Holiday Décor, Mary Kay, Personalized Gifts, Paintings, Handmade Organic Wheat Bags, Beaded Jewelry, Pen Flower Bouquets, Wood Signs, LuLaRoe, Handmade Kitchen Towels & Totes, Etched Glass, Rodan & Fields, Ornaments, Jewelry, Southern Inspired Decor & Accessories, and much more! In addition to getting a head start in your holiday shopping, make sure you bring your sweet tooth because we will have a bake sale with tasty treats. All items will be $1! We will also be selling Jambalaya Lunches for $5.00. All vendors have provided an item for raffle. Raffle tickets are $1 each and you can win one of over 20 prizes! All proceeds from the bake sale, lunch and raffle will be donated to the Volunteers of America’s Christmas Family Program. 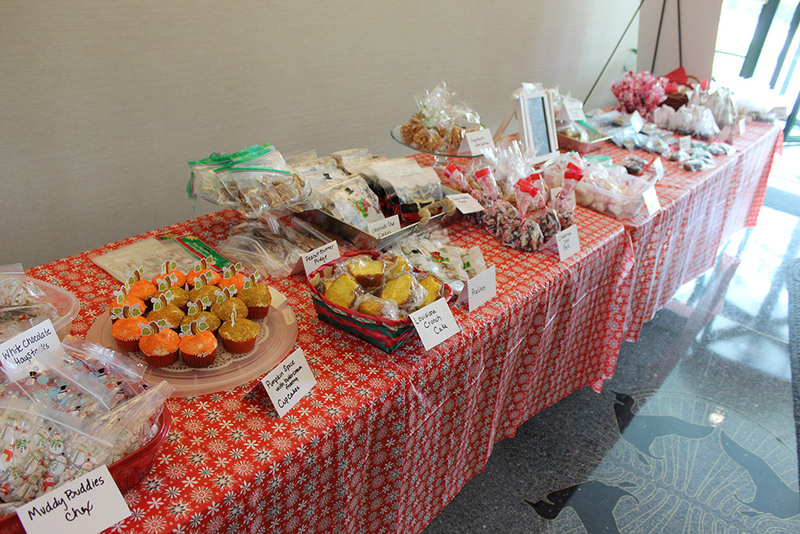 Last year’s Bake Sale and Raffle raised nearly $2,000 which was donated in full to Volunteers of America’s Greater New Orleans’ Christmas Family Program! We hope to raise even more this year. Please come out on Friday at 11AM to help support this worthy cause.